As people replace their hard drives with smaller SSDs, many will choose to move large music collections to external drives. And they'll want their media player, whatever it is, to know what's on that drive. I covered this topic back in 2009, but Windows has changed a lot since then. If you're using Windows XP or Vista, I suggest you go back to that article. The following is for Windows 7 and 8 users. These aren't perfect solutions. 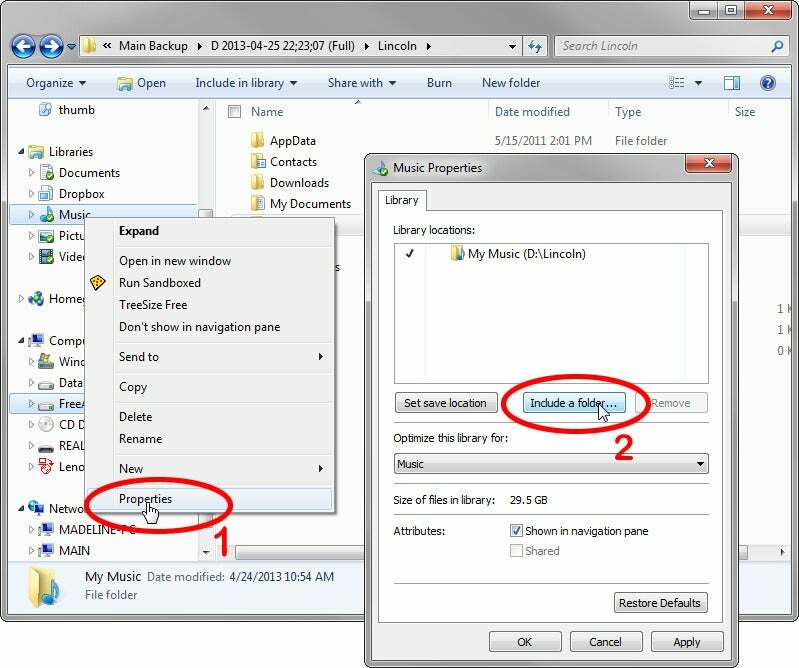 WMP will list songs stored on the external drive even when that drive isn't attached. When you try to play one of those songs, you'll get an error message. This technique won't work with all external drives. 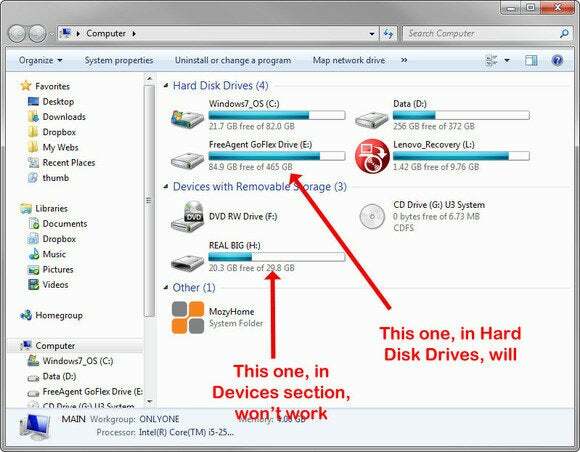 To find out if it will work with yours, plug in the drive and open Windows Explorer (File Explorer in Windows 8) to Computer. If the drive is listed in the Hard Drive section, you're in luck. Plug in the portable drive. In Windows (or File) Explorer, right-click Music in the left pane under Libraries, and select Properties. Click Include a folder [Add in Windows 8] and follow the prompts. This one is very easy. Just press Alt to bring up an old-fashioned Windows menu. Then select File>Add Folder to Library, and select the right folder.